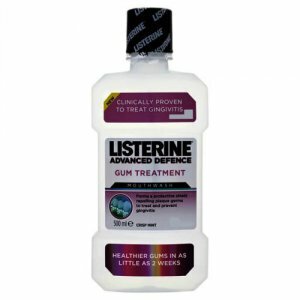 Listerine Advanced Defence Gum Treatment is clinically proven to treat gum disease and healthier gums in as little as 2 weeks. You may think bleeding gums are normal, but they are often a sign of gum disease or gingivitis. Gingivitis is an inflammation of the gums caused by plaque and bacteria sticking to your teeth and gums. If left untreated this can lead to further problems such as receding gums and even tooth loss. Listerine Advanced Defence Gum Treatment creates an invisible protective shield that prevents plaque germs from attaching to tooth surfaces, allowing gums to repair and restore themselves to a natural, healthier state. 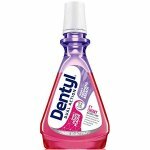 For gingivitis treatment and daily gum protection. 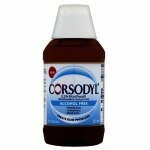 For best results use twice daily until gums are healed and bleeding has stopped. Can also be used long term to prevent gingivitis from reoccurring. 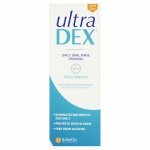 Use twice daily after brushing or when directed by your dental healthcare professional. Rinse your mouth thoroughly with water then pour 20 ml (4 x 5 ml teaspoonfuls) into a glass, rinse around teeth and gums for 30 seconds, then spit out.